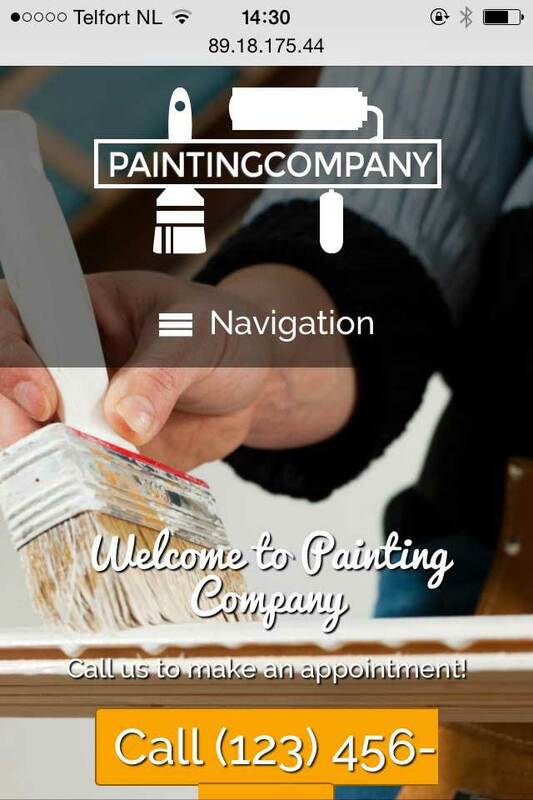 Any painter may appreciate the effort we've put into the Painting Company WordPress theme. Just as it takes more than just a couple of strokes to deliver a beautiful paintjob, so it takes more than just a theme to have a leads generating online presence. That being said, the quality of the paint might be half the job as will the quality of the theme. And you can rest assured that the Painting Company is the right tool for the job. 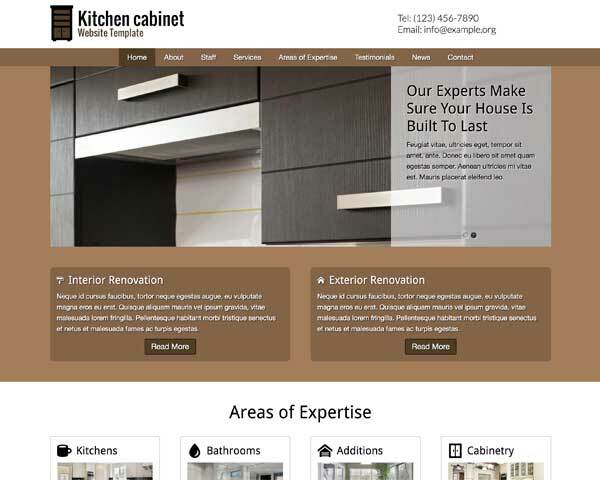 With the Painting Company WordPress theme you enable yourself to set yourself apart from the competition. So many times business owners excell in the skills they're getting paid for while neglecting others. Marketing, and especially Online Marketing has become a key factor in the success of any company. You best market yourself on the internet with not only a great looking website but also a website which makes sense for its respective business owner. 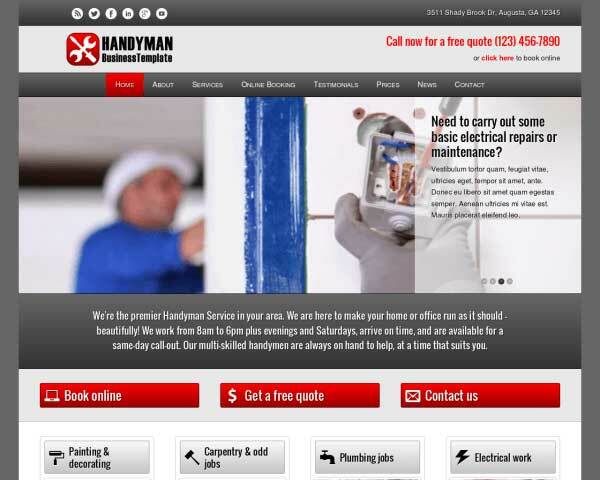 The Painting Company WordPress theme was build to drive traffic and generate leads. The most important elements are in the right place as they should be. 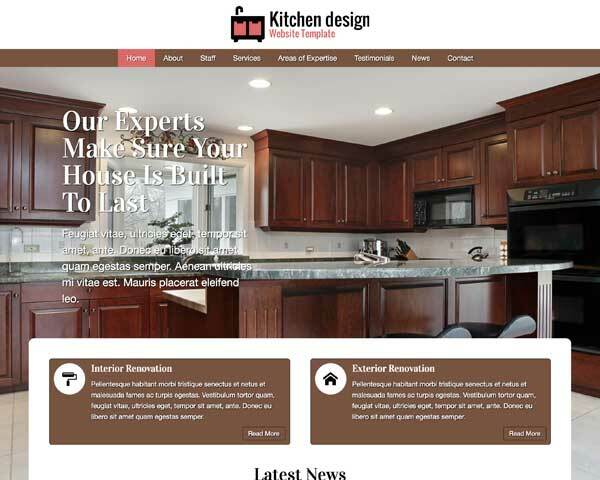 An eye-catching full page slider combined with your main services are on the homepage. And the most important call to action is instantly visible and clickable on any device. 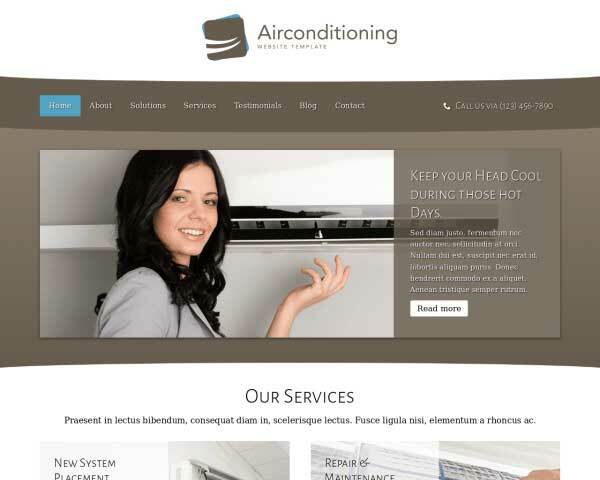 We've combined this responsive design with a number of other important features. 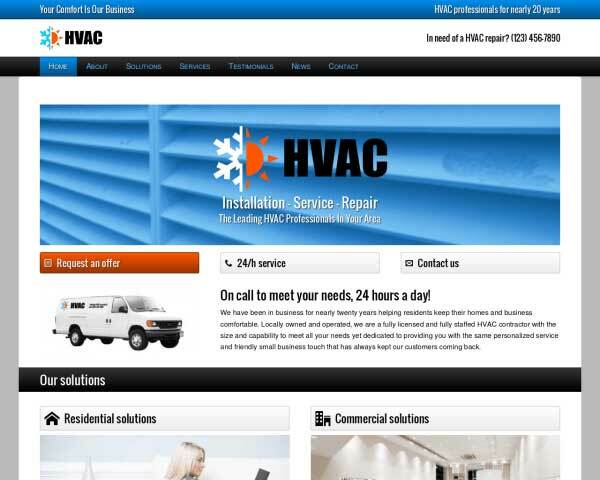 Standard social media integration combined with a blog and contact section. And, invisible from the public eye, the Painting Company theme features a high end front end editing mechanism making hand coding, or any technical knowledge for that matter, obsolete. It's WordPress so the Painting Company WordPress Theme can't do without a good blog overview, which also is an excellent way to attract more visitors. 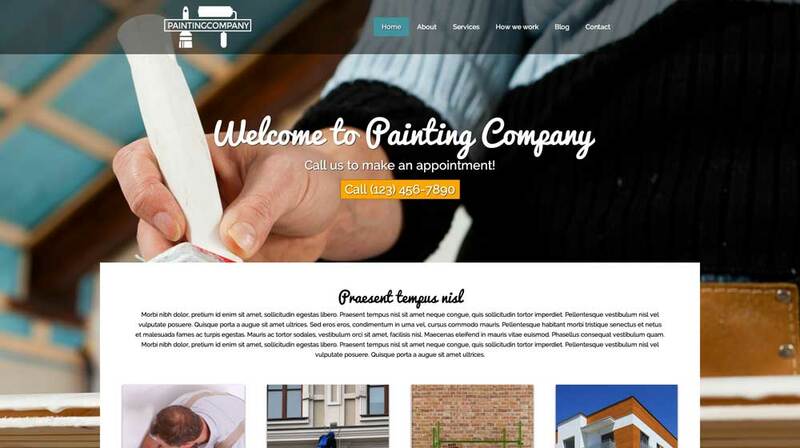 The Painting Company WordPress Theme is designed with the specific needs of painters in mind. With important pages and features already in place, your new website will be nearly finished right out of the box. The contact page on this Painting Company WordPress Theme is set up with space for your contact details and a customizable form. Use modules to easily add photos or a Google map. 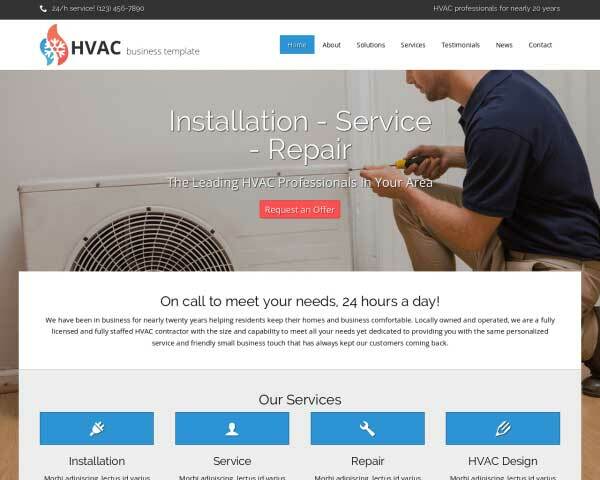 Setting up a dedicated page of what your clients can expect from you conveys professionalism and channels the right expectations concerning your painting services. Feature your best photos with an attention-grabbing full-width image slider on the homepage of the Painting Company WordPress Theme. Just add in your own photos and type in captions. 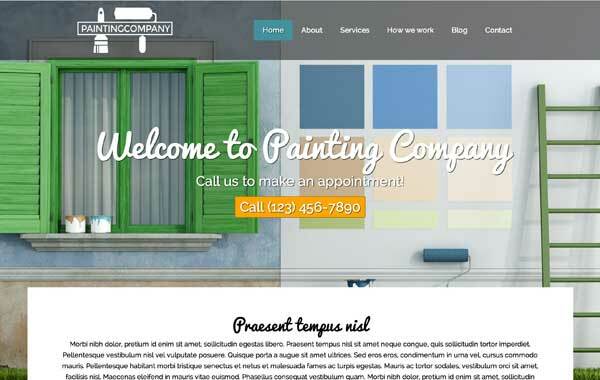 If you want to stand out from the crowd, the top-notch look-and-feel of the Painting Company WordPress Theme will prove to be the perfect solution. 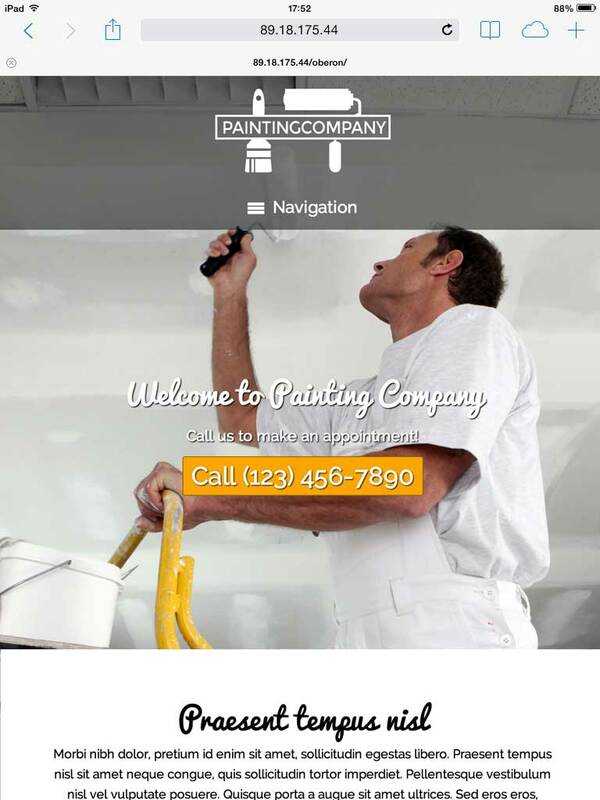 The homepage of the Painting Company WordPress Theme features a helpful overview with links to each of your services, offering clients a quick way to find out what you can do for them. 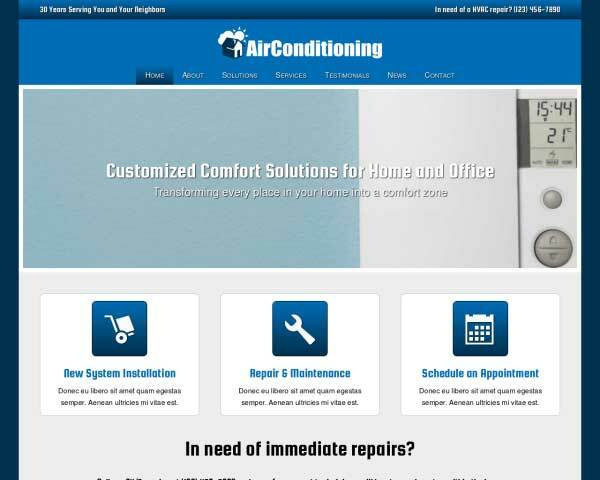 A website of any painting company should provide the best of both world in a smart, mobile optimized package. A solid design, no matter what device the website visitor uses. A clear call to action accessible on the smallest of screens and direct access to the most important services. 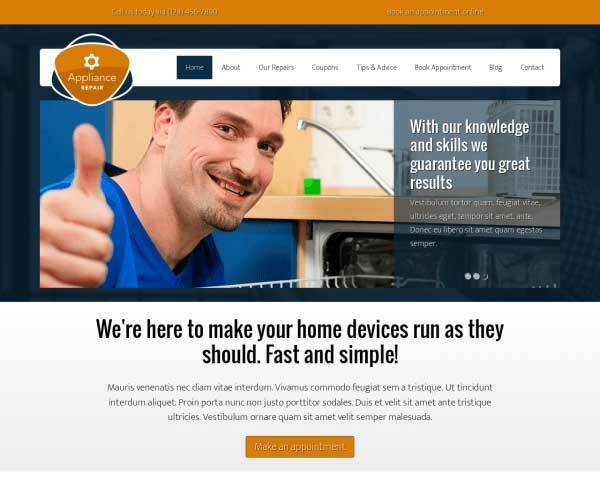 With the responsive Painting Company WordPress theme you'll get all without having to think about it for one second. This mobile optimized theme will make sure you'll get to paint the perfect picture on any screen resolution, and that's the way it should be.